General Motors CEO Mary Barra has been named to the 2018 Industry All-Stars list by Automotive News. But Barra was more than named to the list, she took the top spot as the publication’s choice for Industry Leader of the Year. Barra has sat in the big chair at GM for the past five years, with this being the fourth time in a row that she has been named to the All-Star team, it’s also her second time being chosen as Industry Leader of the Year. Although Barra’s no stranger to the All-Star rankings, the publication singled out the profound culture shift she has helped enact at GM, a company that was sometimes viewed as embodying the problems plaguing the patriarchial automotive industry. Barra has routinely kept all employees in the know regarding important company developments during the ignition-switch recall crisis, focused through Wall Street doubt, and on track tackling an evolving automotive industry. She has also helped transform the once bloated corporation into a lean mean future machine. Just this past year, amid ongoing international restructurings, GM has secured several high-profile deals in the realm of electrification and mobility as it works towards an alleged corporate vision of zero crashes, congestion, or emissions. The deals included $2.25 billion invested by the SoftBank Vision Fund, and $2.75 billion from Honda, both into Cruise Automation, GM’s autonomous-vehicle operation. Barra has also been heavily involved in government discussions surrounding federal fuel economy standards, along with featuring in the renegotiation of the North American Free Trade Agreement. 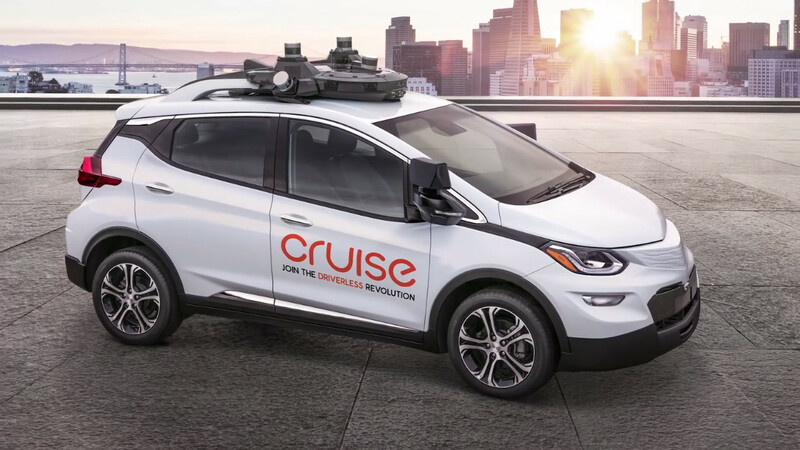 She has been lobbying for proper federal legislation surrounding self-driving technology in order to provide “a path for manufacturers to put self-driving vehicles on the roads safely, while allowing continued innovation.” GM does have plans to begin deploying fleets of completely autonomous vehicles, based on the Chevrolet Bolt EV, without manual controls beginning in 2019. There were other GM appearances on the list under various categories. Kurt McNeil, GM’s US VP of Sales was named top Sales executive; Joe Jacuzzi, Executive Director of Brand Communications topped the PR list; while Dan Nicholson, VP of Global Propulsion Systems closed was honored in the Engineering category. The awards announcement broke before General Motors announced the anticipated closure of five North American plants, several thousand salaried layoffs, and vehicle cancelations including the Cadillac CT6, Chevrolet Cruze and others. OK so after being dumbfounded by reading this and having a few days to sleep on the whole shutting plants down thing is there more to it? Is it a chance to retool for radically different vehicles while at the same time to try and break the unions which would lead to lower labour costs which leads to lower vehicle costs or at least higher profits from the same vehicle costs? It’s still greasy and it could just be another ham-fisted GM cost control scheme but is there more to the whole story? I hope Ms. Barra and company has something cooking in secret because the thought of having to choose between a CVT Spark and CVT Malibu makes me throw up in my mouth a little. We all know this is because of her gender and not necessarily her smarts or success. I hope she is all smug and happy with ruining the lives of 14,780 or so workers, mostly American, so she could boost her stock price and take home a little fake gold trophy. Reminds me of our last president that was so smug and devoid of reality as the country burned and people’s lives got worse. I hope Miss Mary has a wonderful Christmas…after she destroyed the lives of thousands of union members, their families and communities right before the holidays. Not to mention all the mom and pop business that support workers through food and service deliveries. Enjoy your award, Mary! China must love you. “renegotiation of the NORTH AMERICAN FREE TRADE AGREEMENT”???? Haha! Hear that, Sean Szymkowski, it was renegotiated unlike all your BS about it would never be renegotiated. And it is not NAFTA anymore, again you were wrong…It is called USMCA now. Deal. Not cool, you little Trump worshiping troll. If you have something to say, say it. But don’t masquerade as other people. Get a life. – The REAL Reggie, who can change his screen name just as easily as you. The disconnect from reality is really amazing. 4. Obama came along and repaired the destroyed economy. And GM for that matter. It didn’t burn you idioit. He was putting out fires. But he didn’t fix NAFTA. And no Republicans insisted he do so, because again — H and Newt were all for it. 6. — if you don’t like that you shouldn’t have voted for Trump. Where in the world did you get the idea that a fascist capitalist cares about American jobs? This tool has gold toilets for Dog’s sake. This guy is famous for firing people on TV you imbecile. Well, she was placed into her role by a man because she is a woman and nothing more. We are now starting to see the consequences of Machete Mary and her job slashing, low profit, sales drops, and general malaise of the company. I would not say it is so much her being a woman as it is her being an attractive woman (much like the new CFO whose name I am not even going to attempt to spell). This, to my regret is a common practice in many organizations. Unfortunately, Jessabelleian traits does not substitute for competence and true leadership which we are seeing now. Compare here to the late, great Sergio Marchionne. He did not look the part of the CEO but he probably was the best automotive leader of this century and he will be missed. FCA is gaining market share in droves and GM is just giving theirs away, the latter’s stock price just being propped up because of layoffs and cutbacks and as well will see this is just a short-term tonic. Having had the opportunity to have spent time at FCA as an IT contractor and now at GM IT I agree. Sergio was a unique guy. He came in with a lot of skepticism, however he moved with lightning speed and held his reports to a high degree of accountability. Remember what happened with Laura Souve when the Fiat 500 launch fizzled. He canned her immediately, he was a results oriented guy. Too bad he didn’t run GM after the bankruptcy. Could she even change a tire or jump start a car? No more Crappy cars!! Or was it, No more cars? I forget. Obvously the standards at Automotive Rag are not too high. I feel that her days are numbered- 18 months at the most she will be jettisoned. Does an Industry Leader shut down a facility (Hamtramck), and let the employees find out via mainstream media? Not a Tweet, not a town hall, not an email? Especially a plant she managed. Nothing like forgetting the people who got her to the lofty position that she does not deserve. i wish gm would give us a peek at the future products they will be producing now that they’ve told those that they will not. and i’m not talking bicycles and autonomous vehicles. perhaps that will come at the detroit auto show. i’m going to the LA auto show and i’m really looking forward to seeing the audi e-tron gt. if gm came out with something similar for cadillac, that would lift some of the gloom. they’ve said that 20 electric/electrified vehicles are in the pipeline but there hasn’t been much news.